May is going to be a busy month for chef Vicky Lau, as the chef-patron of Tate Dining Room & Bar is hosting two chef collaborations mere weeks apart. 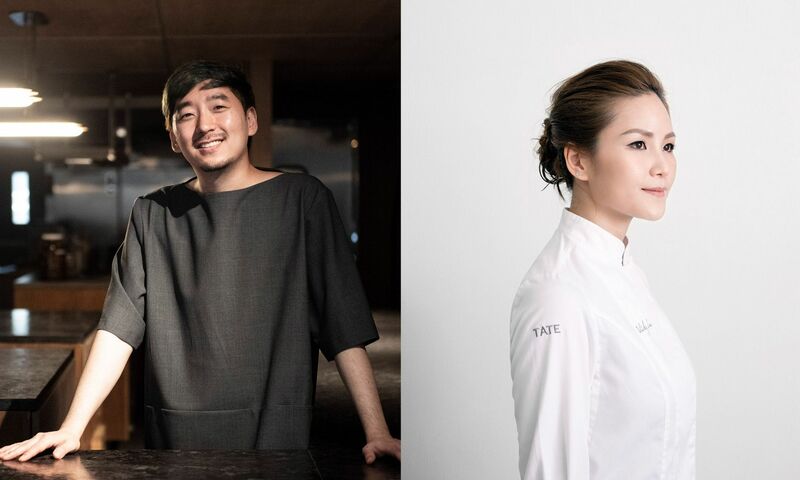 As the esteemed chef concludes her crossover with Wilson Fam and Angelo Wong of Morpheus’ Yi early May, Lau is set for her second four-hands dinner at the end of the month with guest chef Junghyun Park of New York City’s Atomix. On evenings of May 28 and 29, Lau is presenting her signature cuisine in tandem with Junghyun Park’s nouveau Korean fare. Atomix is run by husband and wife team Junghyun and Ellia Park; together, they present a chef’s table tasting menu with a cocktail pairing concept in New York City. Junghyun mastered his training in celebrated establishments such as London’s The Ledbury, Seoul’s Jungsik Dang, as well as New York City’s Jungsik, before opening Atoboy in 2016 with Ellia, reinventing Korean cuisine with French execution. The couple opened Atomix in 2018. Collaborating for the first time this May, Lau and Park will design and craft a unique crossover that will feature Lau’s edible odes to Chinese and French cuisines and Park’s contemporary Korean plates through an eight-course menu, priced at HK$1,980 per person, with an additional wine or cocktail pairing package available at HK$600 per person.